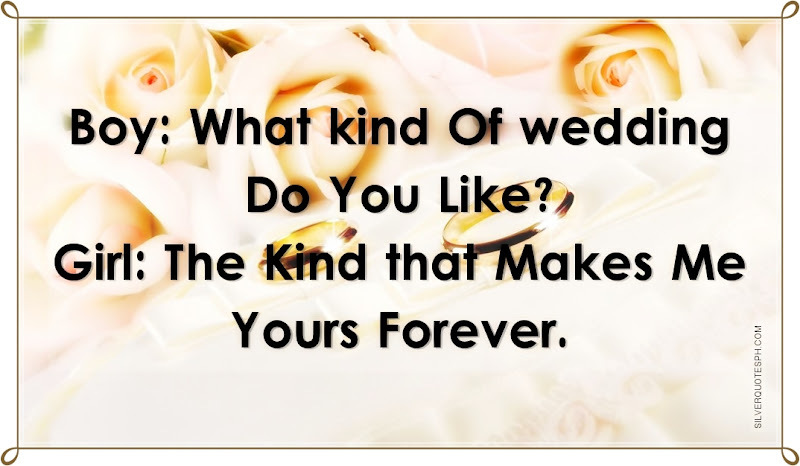 What Kind Of Wedding Do You Like? Boy: What kind Of wedding Do You Like? Girl: The Kind that Makes Me Yours Forever.